During use; an important video file was improperly saved to memory. I was able to send the damaged file to a service for recovery and they succeeded (whew) but the format is now a normal MP4 and not recognized specifically as recorded by my Theta V when I bring it in. Is there a way to update the metadata or fool the Theta program so that it processes it normally? (for consistency- as I am including this in a larger composition). As a bit of an aside- it’s not entirely clear to me what the Theta program really does in its “processing”- there is the checkbox for top/bottom correction but short of that- I guess it blends the seams a bit… anything else? 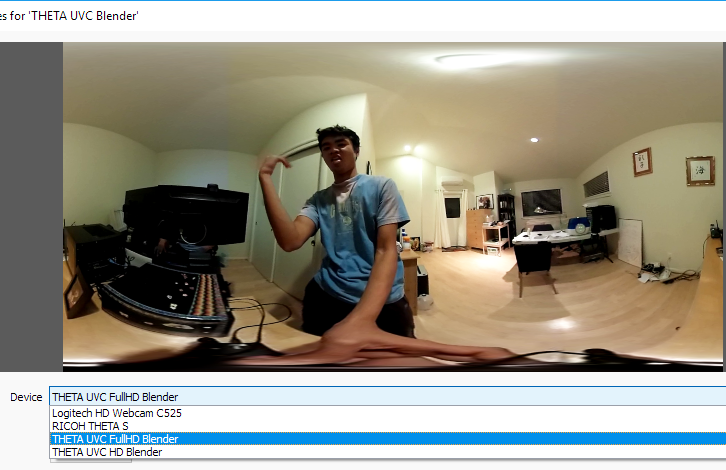 Raw files open just fine in the default windows viewer (which recognizes 360 vid). Do you have the video in dual-fisheye or equirectangular? If you have it in equirectangular, you may be able to inject the metadata. The OS X release requires a Mac with an Intel Core 2 processor or newer, running OS X 10.8 Mountain Lion or newer. - Download and extract the [metadata injector source code](https://github.com/google/spatial-media/archive/v2.0.zip). - From the "spatialmedia" directory in Windows Explorer, double click on "gui". Alternatively, from the command prompt, change to the spatialmedia directory, and run "python gui.py". The information below is old, but might still be useful. I have it in equirectangular- I will give that injector a try, but I worry that while that may help applications recognize it as 360 vid, it may not be specifically Theta V 360 and so won’t process correctly (or at all). In any case I appreciate the suggestion! The video is normally identified by software using EXIF and XMP data. The most important one is to set ProjectionType of Equirectanguar. When you say “won’t process correctly”, what do you mean? Are you referring to the ability of the desktop app or the theta360.com site to play the video and display it with 360 navigation? Yes- as opposed to other videos in the same folder- when I pull them into the Theta V software (desktop ap) I get the option for “top/bottom correction” and then it spends some time converting the file and outputting with an “~~~_er.mpg” filename. This doesn’t happen with the rescued file which it evidently sees as a conventional MP4. The top/bottom correction is using the position (orientation) of the camera. When you took the videos, was the camera upright in a tripod? Or, did you have it lying on the side? If you had the camera upright in a tripod, your video might still be usable without the orientation data. The orientation data has information on whether the camera is tilted. Thanks- I get what the top/bottom correction does- I was just pointing it out as part of the undefined “process” that happens to differentiate it from when I would import an ordinary (or the formerly damaged) MP4 file. Whether or not I check that box, the program does some type of processing- there is a progress bar, and a file it output: “xxx_er.MP4”. None of that happens unless the program recognizes that this is a file that came from the Theta V.
If you use exiftool, you may be able to see the EXIF data from a known working video file and then compare it to the broken file. You can then use exiftool or exiftool GUI to add the missing metadata in. there is likely a “maker” field that may say, “RICOH THETA”. I have not tried this, but it might be a path forward for you to recover the video.